There is nothing more personal and precious than a wedding ring. It is the ultimate expression of the commitment and affection that stands between man and the woman he loves. In line with this ancient tradition, our exquisite collection is sure to have the perfect one to solidify the start of your life together. 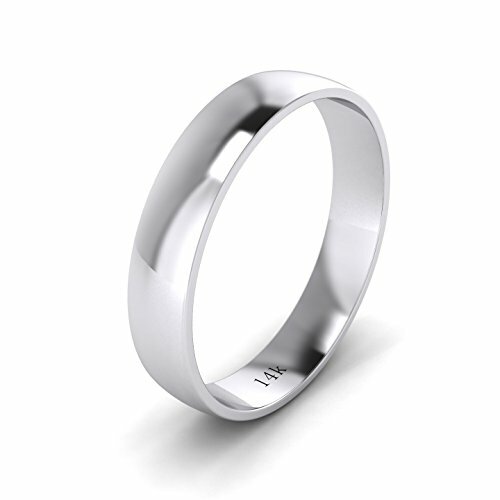 This gorgeous band - timeless in style, is the quintessential depiction of true love. It is available for purchase in a variety of different widths and tones - each of which offer a host of advantageous properties - including the ability to withstand; rust, tarnish and corrosion. So as you step foot into the endless world of rings, discover the difference with our expert assistance and support at every stage of your journey. View More In Wedding Rings. If you have any questions about this product by LANDA JEWEL, contact us by completing and submitting the form below. If you are looking for a specif part number, please include it with your message.